A comprehensive manual of figure drawing covering everything you need to know for drawing the human figure from memory and the imagination. Explores anatomical structure, figure movements, and character expressions, as well as figure composition for book illustration, advertising and picture narrative. Extensivelly illustrated with the author's drawings and illustrations in a wide range of styles and techniques. 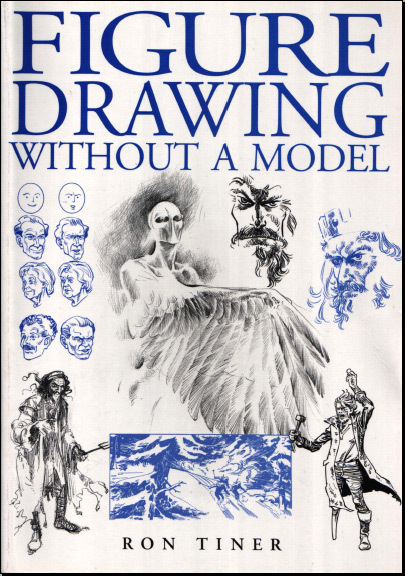 Extensively illustrated using a wide range of styles and techniques, this is a unique course of instruction in drawing the human figure from memory and the imagination. Beginning with informal sketchbook studies and a brief summary of anatomical structure before going on to explain figure movement and how the body shows its age and exudes character, it will encourage all artists, illustrators and cartoonists to explore this popular subject with confidence and style. Reviewer: A reader I found Tiner's book on the library shelf. I couldn't put it down. I finally decided to purchase it to cease the increasing late fees. Tiner writes to his audience in first person; I felt he was sitting there next to me personally giving me tips, encouragement, and support. His artwork pleases the eye, giving a visual to work off of. Overall, this book is one of my favorites. Pick it up, and you will know why. This is the first drawing book I have. It gave me a lot information on drawing human figures in structure, proportion as well as characters. This is an inspiring book, since it gives lots of good illustrations. You will find that drawing human figures is not that difficult. Mr. Tiner really opened the world of figure drawing to me. 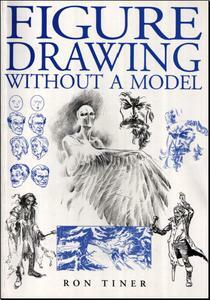 I have purchased other figure drawing books, but this one stands head and shoulders above them all. This book is dedicated to the human figure and covers it from head-to-toe! If someone is serious about developing the skills to be able to draw from their imagination - then purchase this book. The humans figure is a world unto its self and certainly takes practice. Tiner leads you by the hand and illustrates what he preaches. Don't be mislead though… This book is a tool through which hours of practice and applying your newfound knowledge, will bring you to the level of mastering the human anatomy. To achieve what Tiner has illustrated, it will be a life long process. Just flipping through the book, will inspire any illustrator or casual artist. The book is chalk full of wonderful illustrations and really guides the artist down the right path. Others topics covered are picture composition and graphic narrative. Invaluable tips on body types, facial expressions, and bone structure. The majority of the book is centered around instructing the artist on the path to drawing the human figure from ones own memory. Tiner certainly accomplishes that!